I’m extremely pleased with Minerva Canada’s numerous accomplishments over the past year. Back in 2011, Minerva’s Board of Directors had set its sights on helping our engineering professors by creating some stand-alone health and safety engineering student teaching modules. I’m pleased to say that we now have the first 10 of 22 modules on our website and we were successful in raising the necessary funds to allow the development of 11 new modules which will involve nine Canadian universities and colleges.This year, Minerva’s Board and some of its key stakeholders had a special strategic planning session to revisit Minerva’s vision and to define its strategic priorities for the next five years. These priorities are discussed in this newsletter. 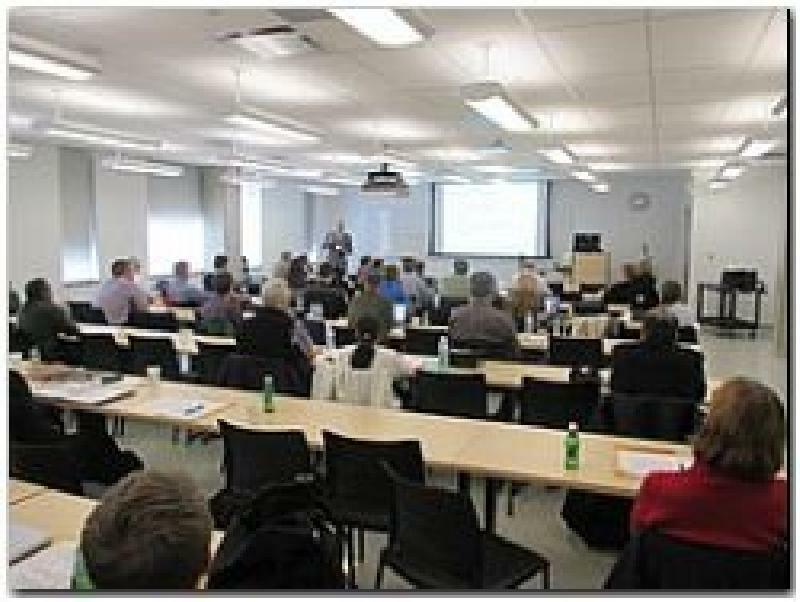 In 2014, we also saw over 150 engineering professors participate in our one-day Learning Forums held at four universities and colleges (Waterloo, Ottawa, Dalhousie, Cambrian College) and with a record attendance established at the University of Waterloo. The response we have received from Ontario colleges with our programs introduced this year has been outstanding and we look forward to further involvement next year from Seneca and Fanshawe Colleges. Our student award activities continued to generate record participation from engineering, business students and Minerva is hoping to introduce an added engineering student award next year. Minerva’s many accomplishments this year are a reflection of the hard work, endless assistance and support from our many volunteers from industry, government, academia and H&S professional associations who make up our Board of Directors and Working Groups. I am also very grateful to our many sponsors whose continued support and financial assistance make our efforts at Minerva Canada to advance health and safety education possible. Without this support, Minerva would not exist as an organization. – the new Minerva Canada Vision StatementIn May of this year, Minerva Canada board members along with some key stakeholders of the organization gathered to review where things stand today and, most importantly, where Minerva will head in the future. The agenda for the day and a half session was an ambitious one, but resulted in numerous action plans to achieve goals. Prior to meeting, a survey of some 30 key Minerva stakeholders was conducted and a SWOT (Strengths, Weaknesses, Opportunities, Threats) analysis performed. Five key priorities were identified, with “champions” assigned to move forward. Develop a compelling value statement and enhance the Minerva marketing plan to demonstrate our social and economic value. Minerva will reaffirm with its stakeholders the value it brings to academia, industry, government and society. This value statement will form the basis for future Minerva communications. Develop a new and long-term funding strategy, which will double Minerva’s base annual funding by 2019. Minerva will look for ways to: identify and approach all funding sources that are aligned with the Minerva vision; raise existing sponsor involvement with Minerva initiatives; expand corporate and government sponsorship; align with industry champions (trade associations and companies, such as engineering, telecommunications, agra); and establish federal government relationships. Review and upgrade the Minerva product offering, allowing for more effective use and acceptance by professors and students. Minerva, with the needed resources, will produce bilingual materials; repurpose and explore more ways to share its “case study bank”; develop new resources (teaching modules and case studies); and conduct surveys and focus groups to better understand what types of tools/materials and delivery methods that teachers require most. Its website design and features will also be reviewed and improvements made. Maintain and expand our network partners to achieve a 50% increase by 2019, consistent with our vision and work plans. Minerva will seek to establish relationships with the federal government, and grow its partnerships within academia, new industry associations, and provincial governments. Review and align the Minerva organizational structure to achieve the above goals. Minerva will review viability of opening offices in additional parts of Canada; and review working group and board structures to allow getting the above work done over the next five years. Created to help post-secondary teachers deliver the health and safety information so important to Canada’s future engineers and corporate leaders, the Minerva Canada Engineering Student Health and Safety Teaching Modules Project remains right on track. This ambitious multi-phased $250,000 initiative, which began in 2011, has delivered on its promise of making these valuable resources available. To date, 10 of 11 modules are up and running and available on our Minerva Canada website. The eleventh module on Nanotechnology Safety is being finalized. The project has garnered a lot of support. Funded by Minerva Canada, its industry sponsors, the Ontario Government and Mitacs, a not-for-profit organization that provides research grants to universities based on an industry need, it has unanimously been endorsed by the National Council of Deans of Engineering and Applied Science. Eight Canadian Universities – Dalhousie, University of Toronto, Ryerson, University of Ontario Institute of Technology, Western, Laurentian, University of Manitoba and University of Calgary – were involved in the creation of the first round of modules. Teams comprised engineering professors and student interns to work on the development of one or more modules, and industry experts to work alongside the academic team. All modules are free for any professor to download and use and most of the modules also have a set of questions that can be used to test students’ learning. “Some 750 people per day are injured in Ontario, with a $28,000 average cost per injury and with a true cost to industry of $6-$8 billion per annum. It’s important to begin the inculcation of safety awareness and knowledge,” explains Graeme Norval, Associate Chair and Undergraduate Coordinator, Department of Chemical Engineering and Applied Chemistry, University of Toronto. 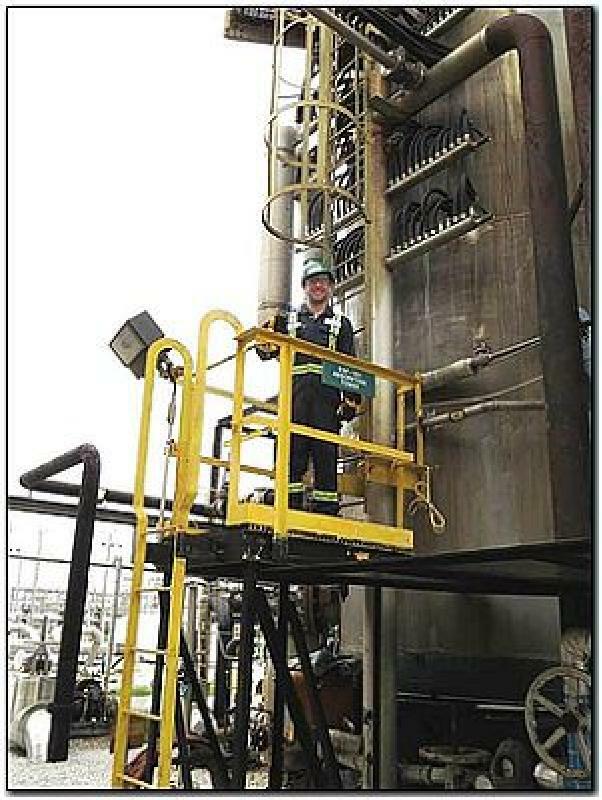 In addition to Mitacs, the project has received a grant from the Ontario Ministry of Labour, and special added funding from DuPont Canada, Imperial Oil Limited, General Motors, Bruce Power, Nova Chemicals, Shell Canada, the Canadian Society of Safety Engineering (CSSE), and the Board of Canadian Registered Safety Professionals. Other important financial sponsors of this initiative include Erco Worldwide, BASF, CF Industries, MIRARCO, Canada Post, Lanxess, Chemtrade Logistics, Chemistry Industry Association of Canada, H.L.Blachford, Dow Chemical, Nexen. Ryerson engineering student Bryan Hudson, currently working on his master’s thesis, authored the Radiation Safety module for the Minerva Canada Engineering Student Health and Safety Teaching Modules Project, available online. We asked Bryan to share his thoughts. Were you enthusiastic about the project? Yes I was. I am doing my master’s thesis on a subject related to nuclear engineering so it is a subject that I am interested in. Also, I felt that this was a good opportunity to get feedback from prospective employers as to what knowledge they would want students and new graduates to have. Do the teaching modules fill a void in the curricula? Yes they do. My undergraduate education courses didn’t have much content relating to workplace health and safety practices. Most of our course work on safety was theoretical and design related. For instance, in relation to the module I wrote, in my undergraduate classes we learned about different types of radiation and measures could be taken to stop the radiation from contaminating an area. What we didn’t learn is what needs to happen should contamination occur: what are the responsibilities of the employees or employers, what are safe exposure limits, how long should someone be off work if they have been exposed. These modules add a more personal perspective on health and safety, which will complement the technical aspects already in the curriculum. Has working with Minerva on the project changed your perspective on health and safety in the workforce? I think it has. Most of my safety education has been from a technical, not an everyday workplace, point of view. Working on this module, as well as seeing the modules from others, gave me a sense of how broad and wide reaching the topic of health and safety really is. 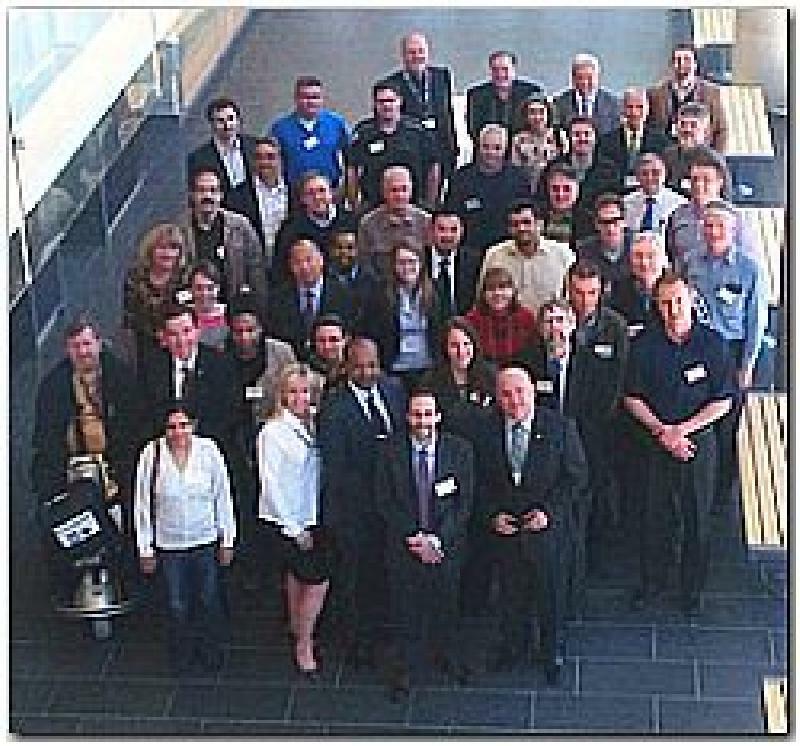 The 2014 Minerva Learning Forums held at three Ontario post-secondary institutions – University of Waterloo,Cambrian College, University of Ottawa as well as Dalhousie University – attracted a record attendance of over 150 engineering professors and 32 participants from industry, government, academia and health and safety associations. The goal? Promote more awareness of health and safety management and ensure it is included in the curricula. “It’s our belief that engineering and business schools graduate most of our corporate leaders,” said Tony Pasteris, President and CEO, Minerva Canada. “We seek to engage those future leaders to make health and safety part of their core value leaving university”. To provide valuable teaching resources and create professor networks to share best practices. Based on the feedback from participants, it proved to be a very valuable day. Shahhanaz Khan, Ontario Ministry of Labour (MOL), outlined some basic e-training modules and materials that MOL has created to facilitate mandatory safety training and supervisory training in the province, effective July 1. “We can provide universities with access to the e-learning modules, which come in nine languages, if you wish to include them in your curriculum,” she said, emphasizing that MOL seeks to collaborate with universities. The principles of good fire safety were outlined by Beth Weckman, University of Waterloo Mechanical/Mechantronic Engineering. Since engineering students are typically not good at understanding the interactions that cause safety issues, Weckman recommended a blend of science, technology and people with experience to effectively teach the concepts. In the many discussions about Minerva’s teaching modules,Graeme Norval, Associate Chair and Undergraduate Coordinator, Department of Chemical Engineering and Applied Chemistry, University of Toronto, said that the goal is to provide common tools for inculcating safety awareness and knowledge that schools can use wherever they see fit. Developed by Minerva as a partnership among academia, industry, government and associations, there are 22 planned modules, with 12 of the existing ones applying to all industry disciplines and some being industry specific. They are essentially a collection of PowerPoint slides with instructor notes and sometimes embedded quizzes that are not prescriptive in how or when they can be used. Two of the modules in production were presented at the Waterloo Forum. Process Safety Management module (by Valerie Orr, Western University), which establishes process safety as a core value and provides a proactive application of management principles to any hazardous process. “The main point of the module is to establish process safety as a core value and intolerance for any violation. We want engineers to always reinforce the organization’s commitment to safety throughout all activities,” said Orr. The modules were met with enthusiasm by participants. “I’m very excited by this list and would put the modules into practice right away,” said Mike Fowler, Associate Chair (Undergraduate Studies) & Professor, Department of Chemical Engineering, University of Waterloo. “The Minerva learning forum allowed us to better identify health and safety learning gaps in our curriculum. Our laboratory experiments are practiced with safety in-mind, and students learn of process safety management and complete a Process Hazards Analysis (via a HAZOP) in our capstone design course. However, this is insufficient to create a sense of safety culture for our students as health and safety notions are not cohesively linked throughout the program. Minerva, via its experienced members and well-developed modules, will allow us to integrate sustained, comprehensive and evolving notions of health and safety throughout the curriculum. Put the results into action by using the teaching materials provided and incorporating changes into their teaching curriculum. Recommend colleagues for future Learning Forums. Watch for details about the 2015 Learning Forums. Renzo Dalla Via at the Awards ceremony in April. Recipients of this year’s Minerva Education Awards of Honour are Vic Pakalnis, President & CEO, Mirarco Mining Innovation, Laurentian University, and Dr. Anis Haque, Professor, Electrical and Computer Engineering Dept., University of Calgary. The awards, established in 2011, recognize individuals from academia, government, industry and health and safety associations for their long-standing contributions to advance health and safety education in Canadian post-secondary teaching institutions. Both Pakalnis and Haque will be inducted into the Minerva Canada Education Hall of Fame. An outstanding ambassador for Minerva Canada since the early 90’s, Pakalnis has constantly promoted and taught health and safety during his work with the Ontario government, Queen’s University and now at Mirarco. He has been instrumental in establishing important partnerships for Minerva with academia, government and industry. 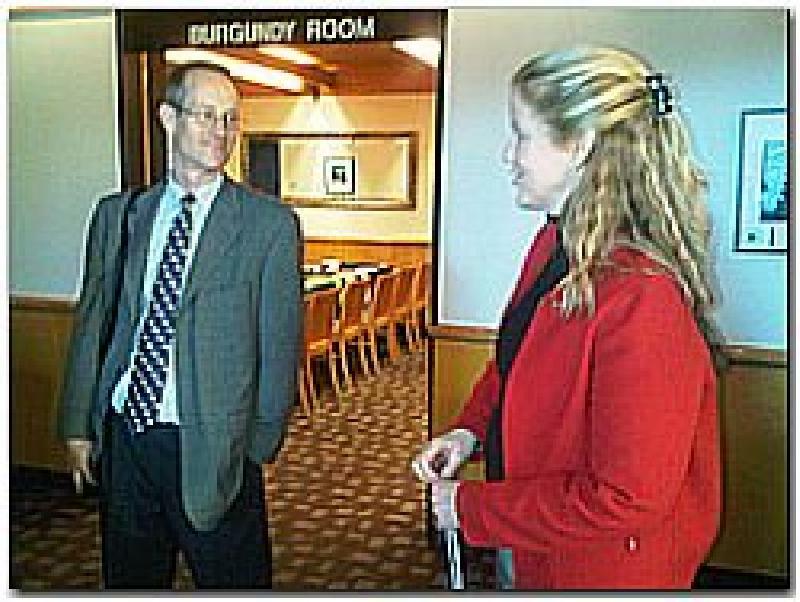 He has also been a tireless contributor to Minerva’s educational programs and resources, including presentations and lively input at its Learning Forums for professors and overseeing development of student teaching modules on Risk Management and Codes, Regulations. “Vic and Anis have given an enormous amount of their time to better serve academia so as to advance health and safety education in post secondary teaching institutions – all of us at Minerva are extremely grateful for their contributions,” says Pasteris. Ontario in April. 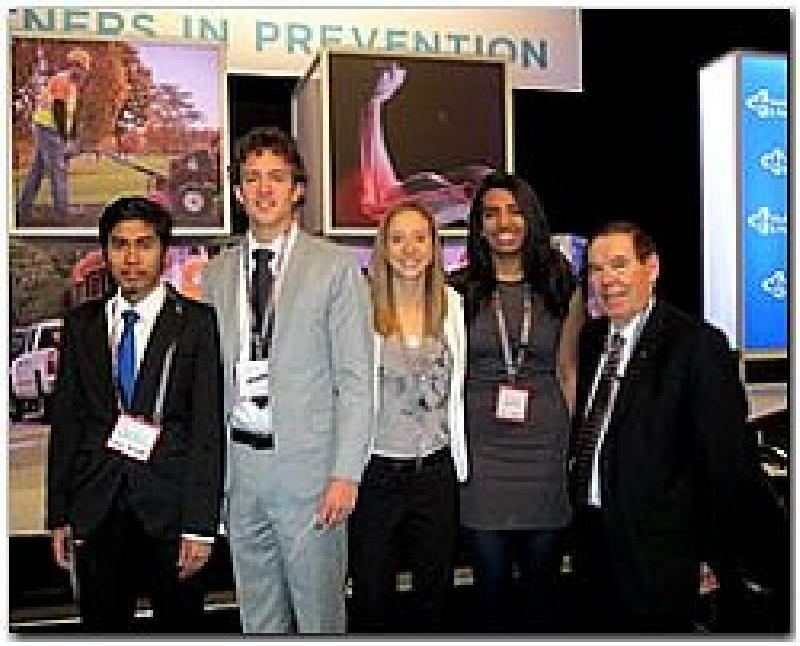 Congratulations go to the team of Josh Cornelius, Stephanie Savoie, Azmil Ridzuan and Famya Mahmud, engineering undergraduate students at McMaster University, who took the top prize in this year’s James Ham Safe Design Awards competition. The group developed a Forklift Visual Safety Device that addresses forklift collisions in the workplace by making employees and contractors more aware of the presence of forklifts in operation.Larissa Rodo, fourth-year engineering undergraduate student at the University of Toronto, took second prize. Following a review of 86 incidents in North American university labs, she developed a set of self-assessment tools, similar to a checklist, with a series of guided questions that are tracked. The tools not only help raise awareness for students and faculty working in a lab, but assist managers to monitor safety in their labs and establish benchmarks and goals for training, reporting and communicating. “While safety, in general, is managed well in many departments, there were previously no tools that department chairs could use to measure the safety performance of their own departmental labs,” said chemical engineering Associate Chair Graeme Norval, who encouraged Rodo to pursue her research. 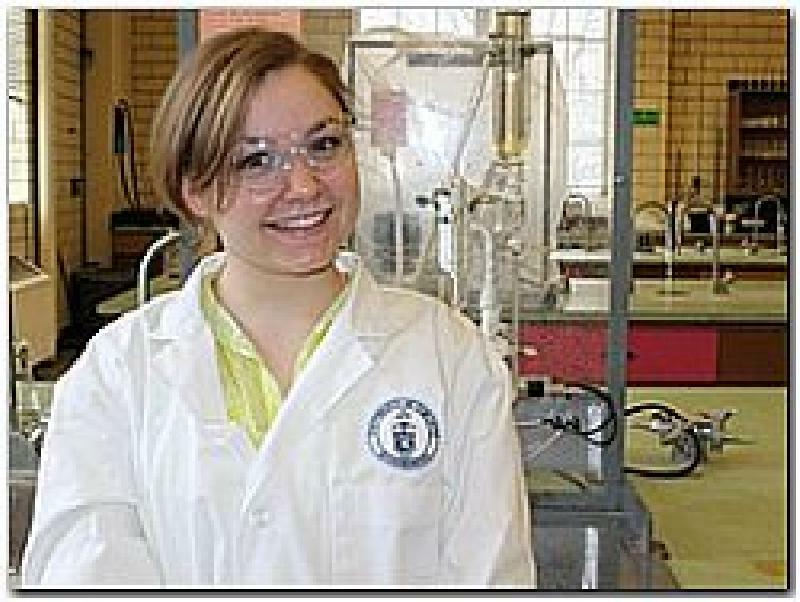 Larissa Rodo at her University of Toronto lab. The annual competition challenges Canadian university engineering students to make an original contribution toward integrating safety into engineering design. The award honours former U of T President and Dean James Milton Ham whose Royal Commission Report on Health and Safety led to the creation of Ontario’s Occupational Health and Safety Act in 1979. Professor Ham served as Dean of U of T Engineering from 1966 to 1976 and as U of T President from 1978 to 1983. The winning team shared first prize of $3,500 while the runner-up received second prize of $1,500. Elizabeth Mills, CEO of Workplace Safety & Prevention Services, and Minerva Canada President and CEO Tony Pasterispresented the awards at the WSPS National Partners in Prevention Conference & Trade Show in Mississauga, Ontario in April. Minerva Canada sponsored the Health and Safety Human Resources event at the 36th anniversary of the Inter-Collegiate Business Competition (I.C.B.C.) 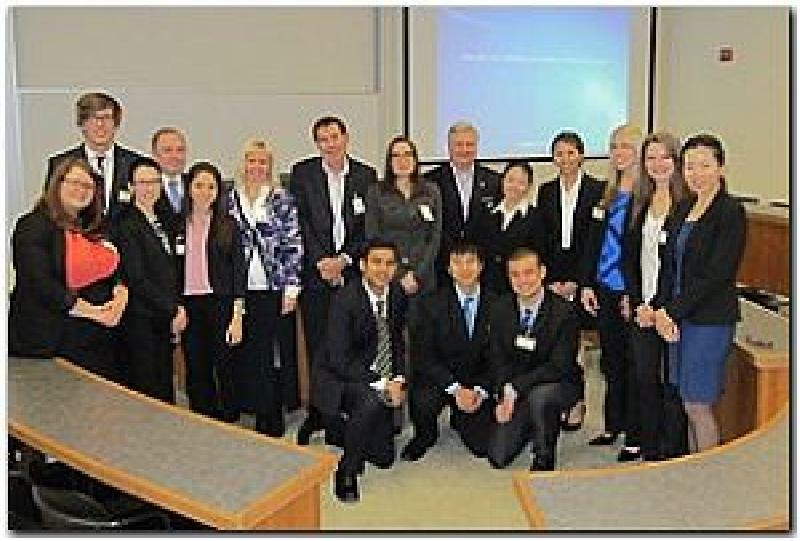 – Canada’s premier undergraduate business case competition. Kicking off the New Year on January 2-4, ICBC attracted over 240 attendees, including competitors from around the world as well as judges, faculty advisors, student organizers and volunteers. Minerva judges, Human Resources finalists and ICBC organizers at the competition in January. Held at Queen’s University, Minerva Board membersLynn Smith, Frank Saunders, Nina Mankovitz, Peter Sturm and Minerva Canada Chairman & PresidentTony Pasterisacted as judges of the six student team presentations in the Human Resources Venue that involved the analysis of a case study focused on health and safety and organizational expansion within the small package delivery industry.Dr. 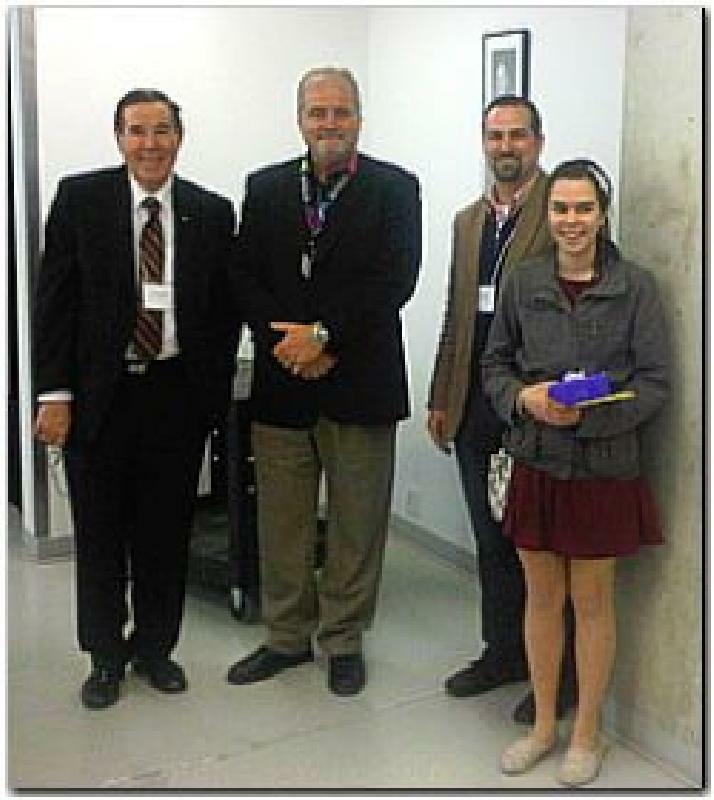 Rob Hickey, Queen’s University, worked with Minerva’s Nina Mankovitz to write the final case study for the competition. Final round competitors are given four and a half hours to prepare a 15-minute oral presentation before the judges. Congratulations go to student teams from McGill, Concordia and Wilfred Laurier universities for placing in the top three positions respectively within the Human Resources venue. The ICBC case studies sponsored byMinerva Canada. Minerva Canada sponsor CF Industries, a global leader in fertilizer manufacturing and distribution and operating world-scale nitrogen plants to serve industrial and agricultural and customers, has reached out with the Minerva message directly to Canada’s future industry leaders. By creating an Environment, Health & Safety (EH&S) Engineering Co-Op position at its Courtright Nitrogen Complex in Courtright, Ontario, the company will educate three students by providing exposure to elements of site safety, including occupational safety, process safety, and environmental management. Three students will benefit over separate work terms, running from May-August and September-December, 2014 and January-April 2015. At press time, University of Waterloo student Frank Basham, , had completed the first term. “I would like to give an extended thank you to my supervisor, Luke Kittmer, and the EH&S department for their guidance throughout this work term,” he says. Basham submitted a report on assessing the risks associated with plant atmospheric vents that discharge to the atmosphere during upgrading activities at the end of his CF Industries co-op term.“Minerva truly commends CF Industries for their commitment in undertaking this initiative, believed to be a first within Canadian Engineering Schools, as it gives engineering students first-hand experience in EHS related activities – it certainly gets them to understand the importance that EHS personnel bring to plant operations and management,” says Tony Pasteris, Minerva President. Students and faculty interested in more information should contact Luke Kittmer. Congratulations to Cummins Inc., headquartered in Columbus, Indiana, for receiving this year’s prestigious Robert W. Campbell Award. The award selection process includes rigorous assessments such as site visits and comprehensive evaluations of an organization’s integration of its EHS management system and the impact it has on the bottom line. According to the Campbell Award executive review committee, Cummins scored highly because its leaders commit to safety throughout the company’s “Live It, Lead It” program. Cummins actively engages its employees in meaningful and impactful projects in the places they live and work. The Award is promoted by an international partnership of 21 organizations, including Minerva Canada. It seeks nominees worldwide and this year, Minerva’s Board members Tony Pasteris and Peter Sturm each reviewed two submissions. In addition, Minerva became an RW Campbell Institute partner in February and will be sharing its success stories with Institute members on what it will take to advance H&S education in American universities and colleges. President Tony Pasteris made a presentation to the Engineering Faculty and students at Lakehead University, March 2014. 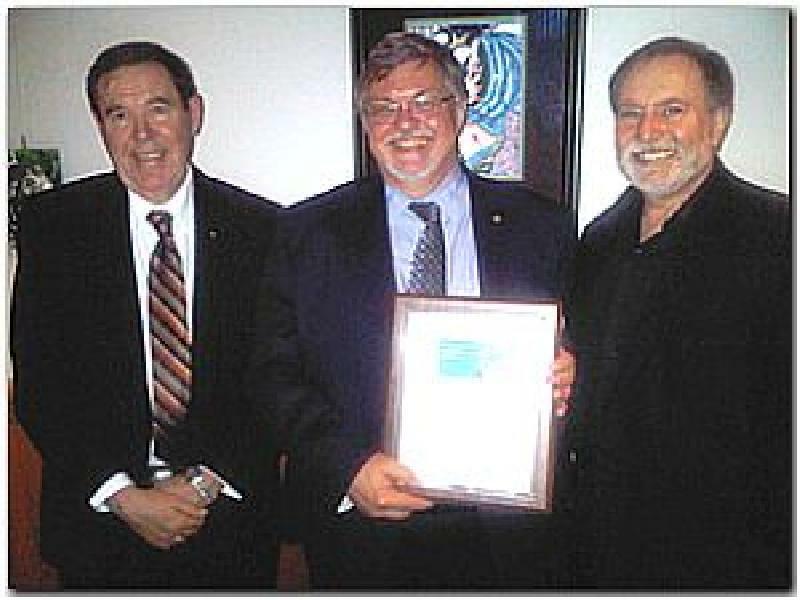 Vic Pakalnis’ Minerva Canada Education Award of Honour was covered in an article by Michael Mastromatteo inEngineering Dimensions, May-June 2014. Minerva Board members Anis Haque and Tony Pasteris made presentations to Chemistry Industry Association of Canada (CIAC) Leadership Groups in Montreal and Calgary in May. 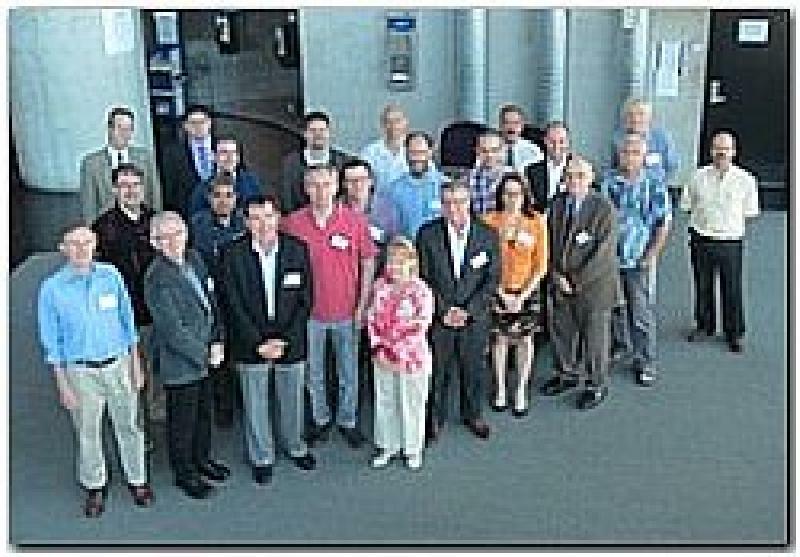 In June, Minerva Board members and Teaching Module supervising professors Doug Ruth, Anis Haque, Graeme Norval and Ralph Buchal made presentations about their Learning Modules at the 2014 Canadian Engineering Education Association’s Annual Conference hosted by the University of Calgary. 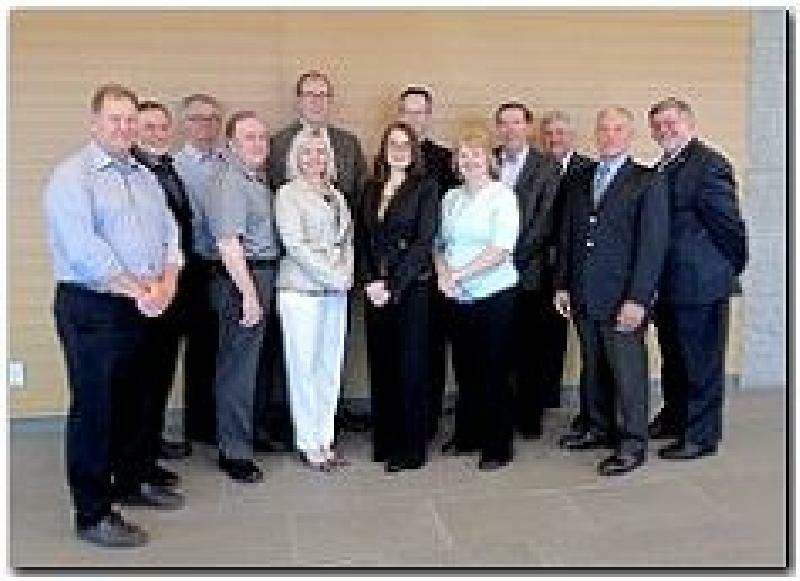 Minerva’s Vic Paklanis made a presentation to the Chemical Engineering Chairs in Sudbury in June. Minerva’s Peter Sturm made a presentation to the CIAC National Advisory Panel in October. 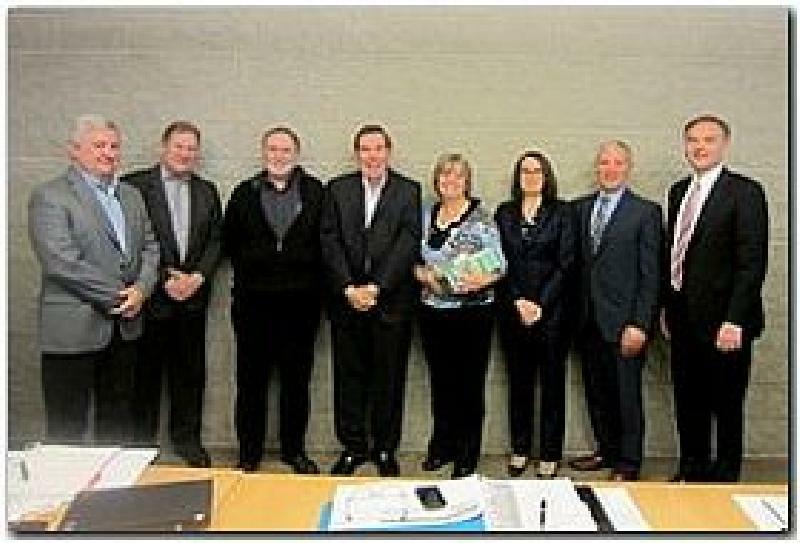 Minerva’s Tony Pasteris and Vic Pakalnis made a presentation to the Ontario College Heads of Technology in November. R. Dalla Via Environmental Health and Safety Consulting Ltd. Manager System Safety, BCRTC Ltd.
A heartfelt thank you goes out to Joyce Carrington, Minerva’s meeting coordinator for the past two years, as well as to outgoing Board members Sean Tucker, Assistant Professor, Faculty of Business Administration, University of Regina, and Dr. Paul Gallina, Professor, Williams School of Business, Bishop’s University. Minerva Canada greatly appreciates all the time and effort they all put in to improving the organization and making healthy and safe workplaces a stronger focus in post-secondary education. right-hand person to me,” commented Tony Pasteris. Minerva Canada’s sponsors from industry, academia, government and H&S associations include a growing list of organizations committed to principles that combine efficiency and productivity within an effective Safety, Health and Environmental (SHE) management culture. 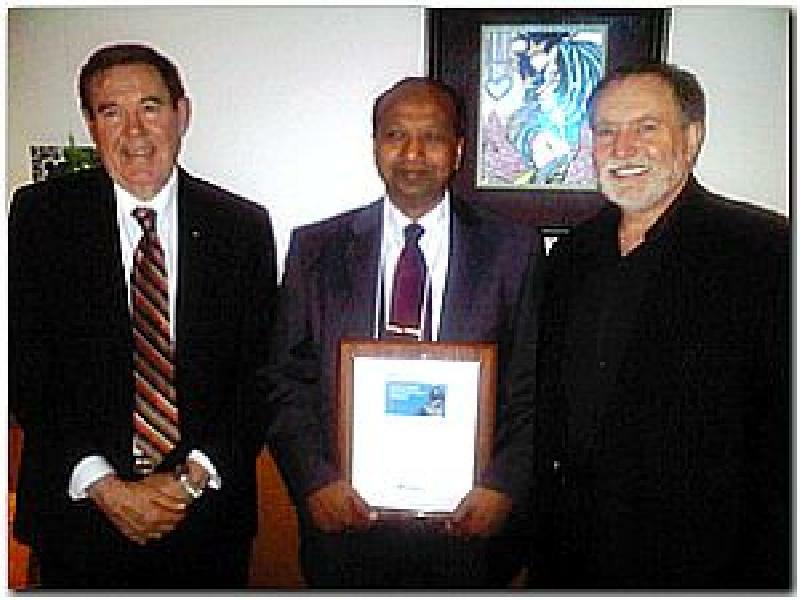 Minerva Canada was initiated in the mid eighties from Project Minerva, first started in the USA by the National Institute for Occupational Safety and Health (NIOSH). We extend a special note of appreciation to the five founding sponsor organizations of Minerva, with which we continue to enjoy a fruitful relationship since the mid to late eighties. The Case Studies and Teaching Modules are intended for use as teaching tools, demonstrating that safety, health and environmental (SHE) management has positive business outcomes such as improved profitability, reduced incidents, improved labour relations, productivity and quality. The Minerva Canada case studies and Teaching Modules found on this website are for educational purposes and can be reproduced free of charge without the permission of Minerva Canada. They can also be used or referenced in any periodicals, research papers or textbooks used for educational purposes. They cannot be distributed, sold for commercial purposes or modified without the express written permission of Minerva Canada. 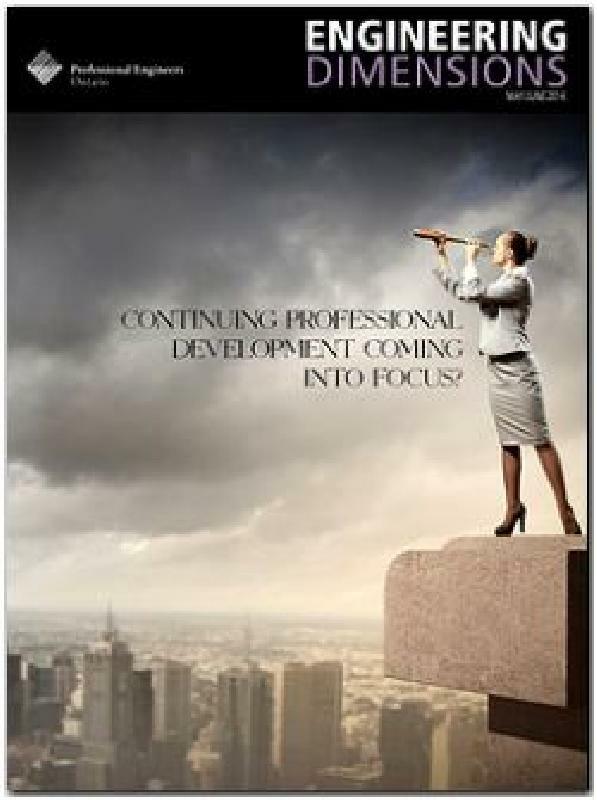 April-June 2015: Minerva Canada is currently planning one-day Learning Forums at McGill, Queen’s, York University, Fanshawe College and possibly Seneca. Stay tuned for dates and venues. .
April 17, 2015: Final submission deadline for the Minerva James Ham Engineering Student Awards. 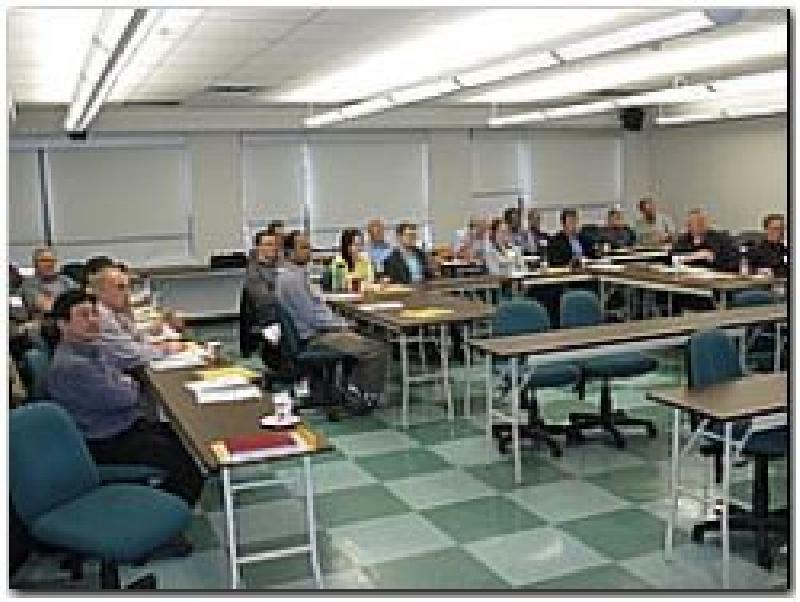 May 31-June 3, 2015: Canadian Engineering Education Association Conference, McMaster University, Hamilton, Ontario. Visit www.ceea.ca/en/conferences for details regarding the conference and workshops.